Considering the imagery -the absurdity and the form of the absurdity- it makes sense. 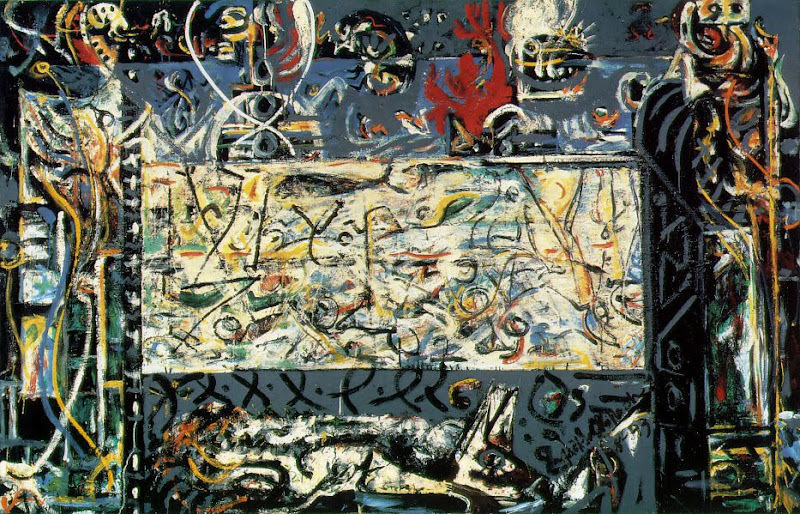 The above doesn't apply to all of Pollock's work but to its origins: to what he tried to do and failed, before doing something that succeeded if only as art, and if it did succeed, only just. 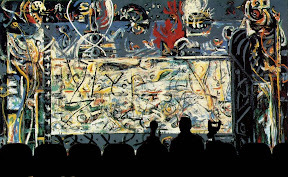 Mystery Science Theater 3000, often shortened to MST3K, is an American cult television comedy series created that ran from 1988 to 1999. 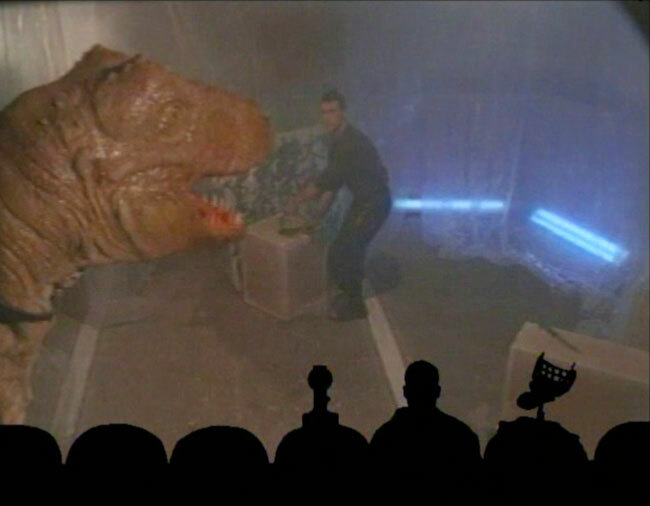 The series features a man and his robot sidekicks who are trapped on a satellite in space by an evil scientist and forced to watch a selection of bad movies, especially (but not initially limited to) science fiction. To keep sane, the man and his robots provide a running commentary on each film, making fun of its flaws and wisecracking their way through each reel. 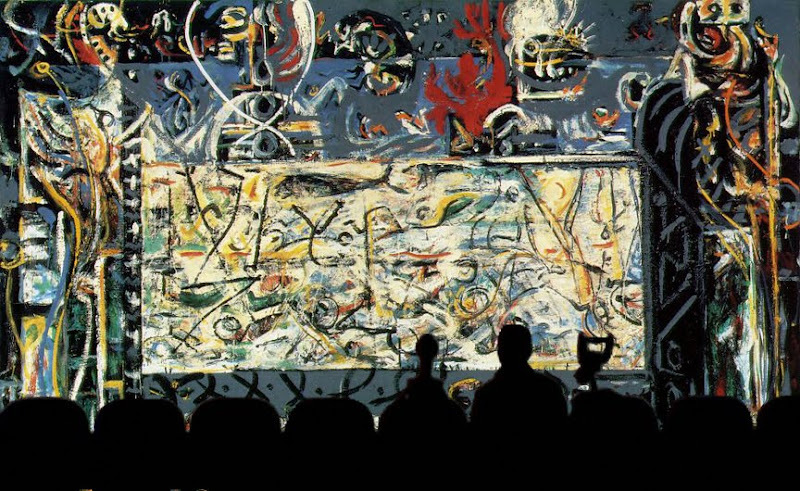 Each film is presented with a superimposition of the man and robots' silhouettes along the bottom of the screen.